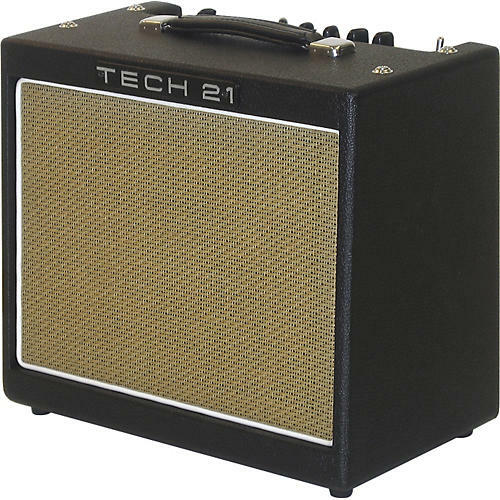 The Trademark 30 single-channel 1x10 guitar amp features a modified version of the super flexible SansAmp GT2 pedal design at its heart. Construct your tone by selecting amp character, gain structure, and speaker type, and then use the drive controls and active 3-band EQ to nail your sound. The 30W output is plenty loud for practice and monitoring and the balanced XLR and 1/4" outputs bring the big tones of this little combo to the studio mixer or PA system. Weighs just over 14 lbs.